Dyson, well known for its vacuum cleaners and fans, now released a special desktop task light called the Lightcycle. The Dyson Lightcycle is a smart task light that gives you the perfect lighting for any occasion, at any time of the day. The Lightcycle is packed with smart features. 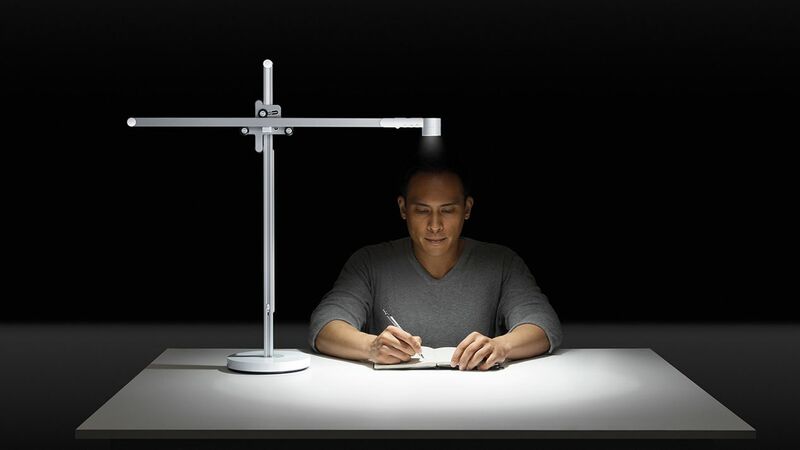 Once installed on your desk and adjusted with the 3-axis arm the lighting jumps on as soon as you are near it. It also keeps track of the daylight cycles in your current location and adjusts the lighting based on how dark it is outside. Using the buttons on the Lightcycle you can finetune the lighting color and brightness levels, the Dyson light app allows you to further configure the Lightcycle task light. There are different modes you can configure, depending on if you want to read, work, study or relax under the lamp. The Dyson Lightcycle is available on the official dyson website. You can get the desk version that can be mounted on a table or desk, or the floor version which is a bit more expensive.